This is a custom item, so Please be sure to provide the necessary (starred*) information required to complete your order. Adjustable to fit Classic1:12 to Traditional 1:9 scalee (see more details about sizing below). *1. Select up to 5 bead colours (Colour selections below). *4. Include your phone number in case I have any questions about your selections. 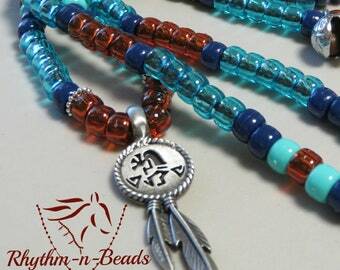 *The mini rhythm beads are made from a mix of seed beads and mini pony beads. 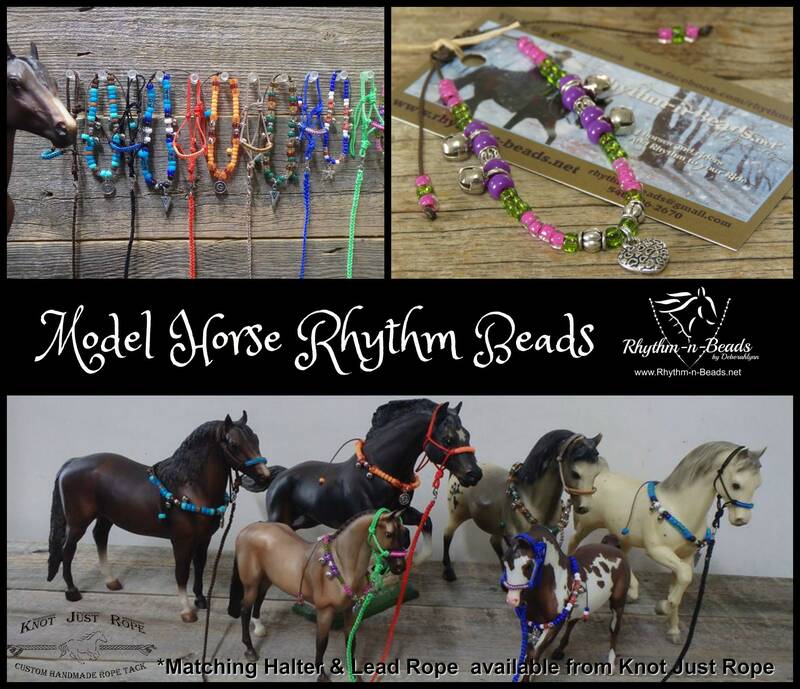 *Beads are strung on fine paracord and are adjustable to fit 1:12 Classic Breyer -1:9 Traditional Breyer scale. *Classic colours: royal, lime, aqua, turquoise, brown, black, white, gold, orange, red, pink, green, coral pink, purple, yellow. *Traditional colours: turquoise, aqua, teal, lime, Kelly green, red, light blue, gold, dk brown, med. Brown, beige, white, black, grey, khaki beige, orange, pink, purple, navy, royal, tortoise rust, amber. Horse shown is not included. WARNING: Small parts; not suitable for children under age 3.